The 2 sizes basting brush set is great for glazing, basting and spreading sauces; also useful for icing pastries or cakes, making candy and greasing pans with oil or melted butter. Each pastry brush handle has a hole which can be used for conveniently hanging the brushes in places where they can be immediately reached whenever necessary. Soft and flexible boar bristles of basting pastry Bbq Brush Set is promote smooth and effortless spreading; liquids adhere to natural bristles for easy application ! Looking for ideal Bbq Pastry Basting Brush Manufacturer & supplier ? We have a wide selection at great prices to help you get creative. 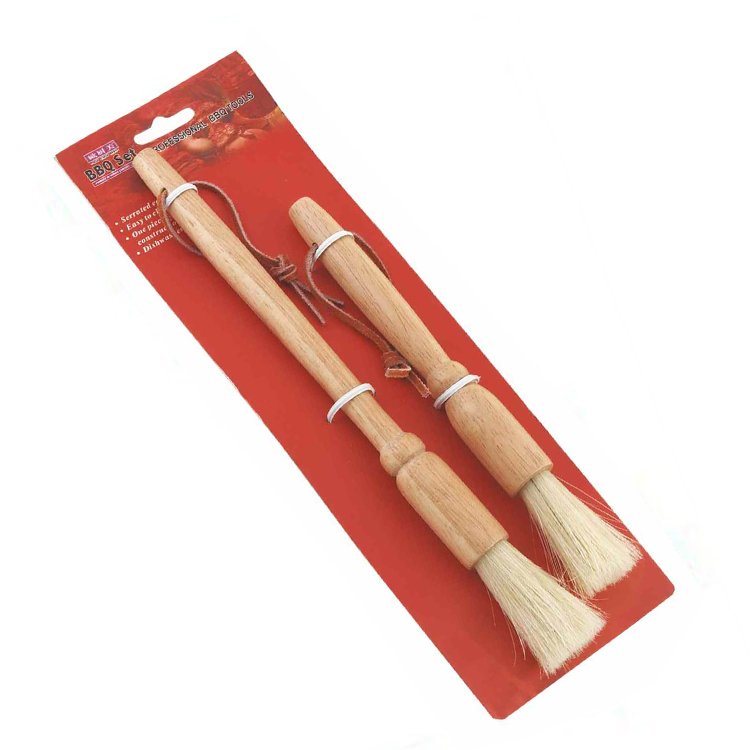 All the 2pcs Barbecue Brush are quality guaranteed. We are China Origin Factory of Wood Handle Bbq Brush. If you have any question, please feel free to contact us.